This is possibly the best dinner ever. Ever. That’s quite a thing to say I know but honestly, this is all I want to eat right now. 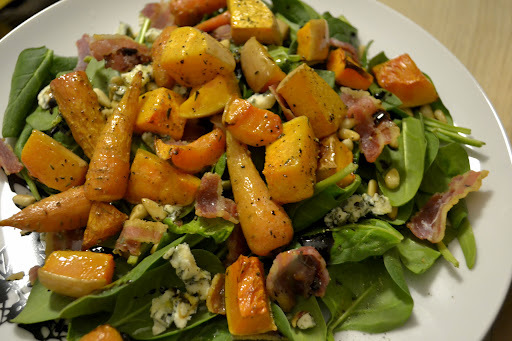 It’s a super simple salad – some spinach leaves, toasted pine nuts, crispy bacon, roasted butternut (and carrots and sweet potato if you like), blue cheese and reduced balsamic glaze. That all meals should be this good. Oh and a special mention to Sparry, who first made this recipe and got me hooked!